There were a lot of random cameos as part of AAA's late 2000s Foreign Legion group, but Black Bufalo is way up there on the list. 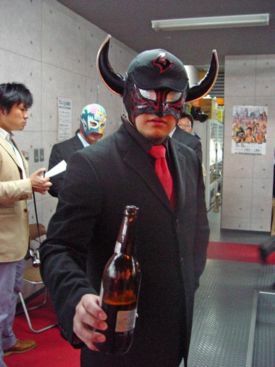 The Osaka rudo turned up in AAA for a month as a Legion rudo, with no particular introduction and explanation, worked a couple of TV tapings, then vanished back to Mexico. This page was last edited on 11 November 2011, at 16:02.